Boasting the same eye-catching holographic foil stamping of the earlier books in the best-selling series, this eagerly awaited new book featuring Rainbow Fish will delight his millions of fans. 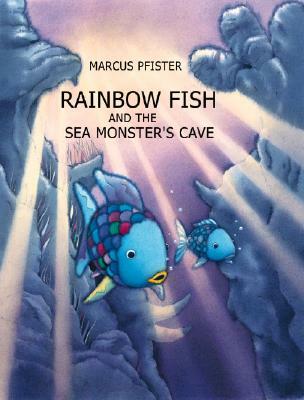 It's Rainbow Fish's most challenging adventure yet, for he must brave the Sea Monsters' Cave, rumored to be the most dangerous place in the ocean, to find healing algae to cure the ailing bumpy-backed fish. Warned by his friends about the dreadful denizens of the deep--the giant rock monsters, the five-eyed globe fish, and the horrible creature with a thousand arms--Rainbow Fish, accompanied by the little blue fish, musters all his courage and sets out on an exciting quest. In a satisfying and reassuring conclusion, Rainbow Fish discovers that by confronting his fears, it is possible to overcome them, and that sometimes there are simple, completely nonthreatening explanations for fabled dangers.